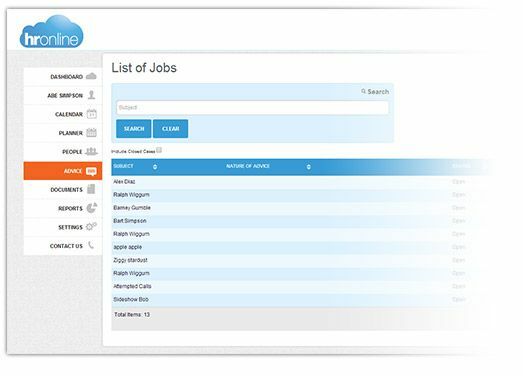 hronline is a cloud-based Human Resources service that provides businesses with an easy way to arrange their day-to-day HR needs. 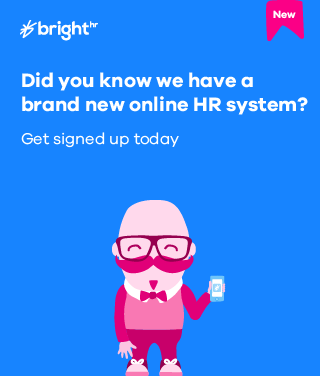 We understand that for many companies, managing their HR with spreadsheets can sometimes get in the way of the important stuff, like growing their business, which is why we've created hronline, to take the hassle out of HR. 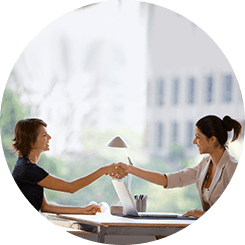 We understand that knowing the ins and outs of employment law wasn’t what you had in mind when you started your business and with hronline you don’t need to. You’ll have access to Professional Employment Law Advice. Our team of over 100 Employment Law Advisors are on hand to help you seven days a week, 24 hours a day. Any help you request and advice you are given will be automatically stored in your hronline account so you can always access it whenever you need it. Our advisors will also be able to view your records so any advice given on a matter will be informed. 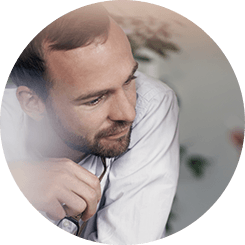 hronline makes it easy to track any type of absence, from holiday & sick leave, to paternity and compassionate leave, we have it covered. You can keep up-to date, accurate records in your account. By enabling self-serve you can empower your managers and give them the control to manage their team their way. 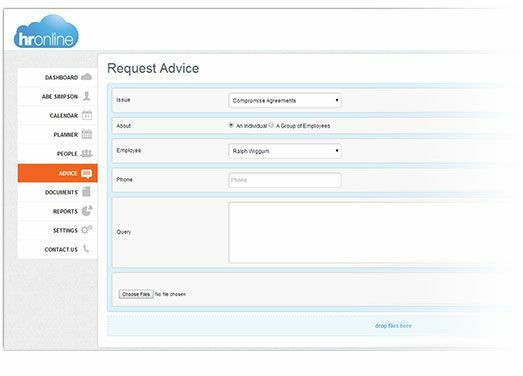 Line managers can submit, approve & decline absence requests. Your employees can request & cancel holiday, check their holiday balance and keep up to date with their team. Our in-depth reporting system allows you to analyse company data in seconds, so you can always make the most informed decisions about your business. We understand that every business works differently and what works for us might not work for you. With hronline you can tailor the system to fit your needs. 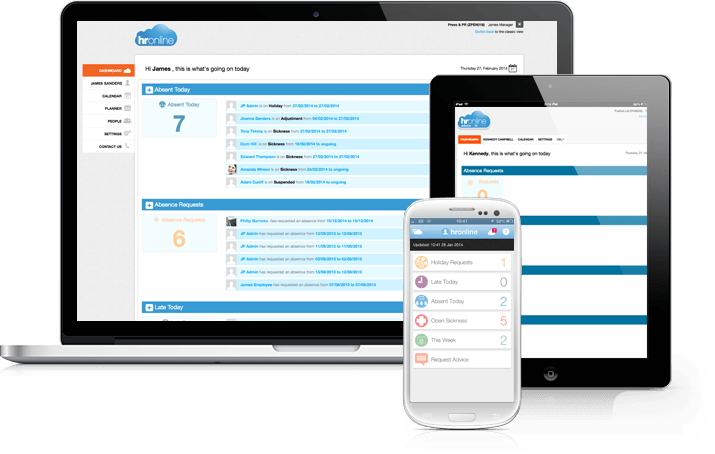 Set employee permission levels, create your own organizational unit and track whatever employee data you want. hronline is web-based so you can keep up to date with your business whenever, wherever, 24/7. 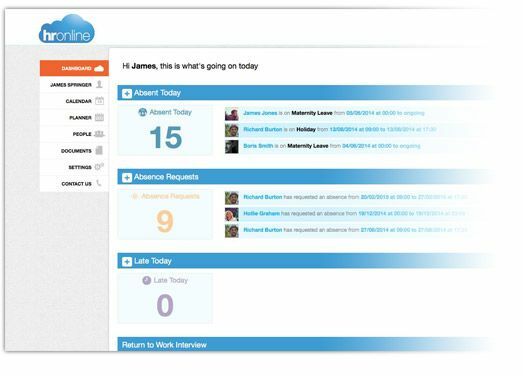 hronline is easy to use and quick to get started. 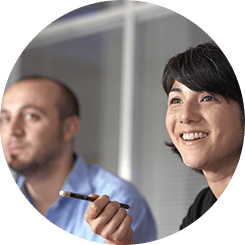 Our easy to implement software will help you streamline and improve HR management in no time. hronline is web-based so there’s no need to download or install any new software and any new features or updates will automatically be available to you without you having to do anything. And all your records are updated in real-time. You can approve & decline holidays in just one click and your company planner will always update you on which members of your team are off on any given day. hronline offers you an affordable and easy way to track and record all your employee information. With access to employment law advice at your fingertips. With hronline you’ll never waste another minute managing spreadsheets. So you can get on with doing what you love. Spend less time managing time off. Do you feel like you spend half your day checking holidays for your team? Automated holiday requests and employee self-serve makes requests like this a thing of the past. Everyone deserves a holiday. 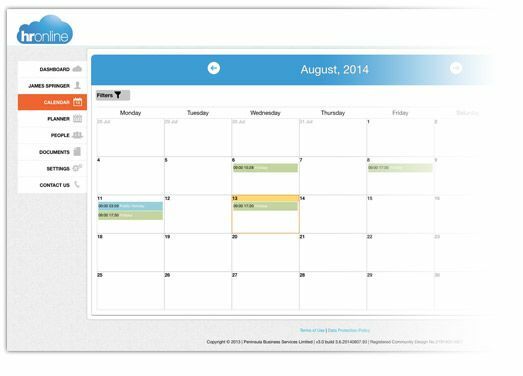 Make it easy for your employees to book holidays from anywhere at any time. As Degree 53 has grown, managing my employee’s holidays has become harder and more time consuming to track how many day’s they have left and when there was clashes with others being off. Since starting using hronline this hassle has been removed and I can concentrate on running the business. We hope you never need it, but if you do, we’re here for you. With hronline you’ll have access to our Employment Law advice service. A team of experts, there to advise you on any employment law issues you may have.